As I was going through my read books in Goodreads, it quickly dawned on me that I’ve read a ton of books since we last met up. 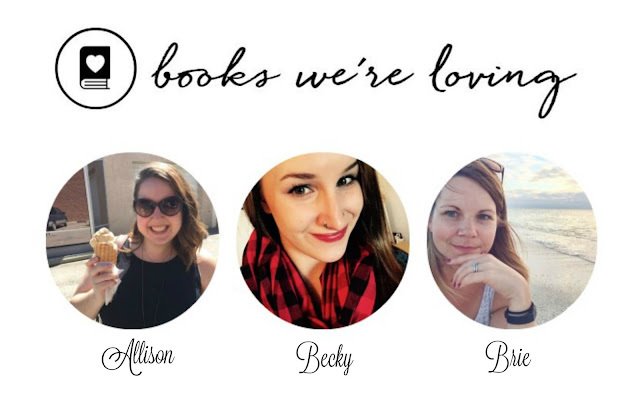 While I’m never one to turn down talking about a book (or books), I thought it best if I focused on the books I loved the most. FAVOURITE: I can’t really pick a favourite out of my favourites, since all 4 of these books were so incredibly different, yet I enjoyed all of them immensely. The Nightingale left me an emotional wreck during and post reading of it, but it was worth the heartache and all the tears. That book touched my heart, my soul, and I can’t imagine ever forgetting about it. 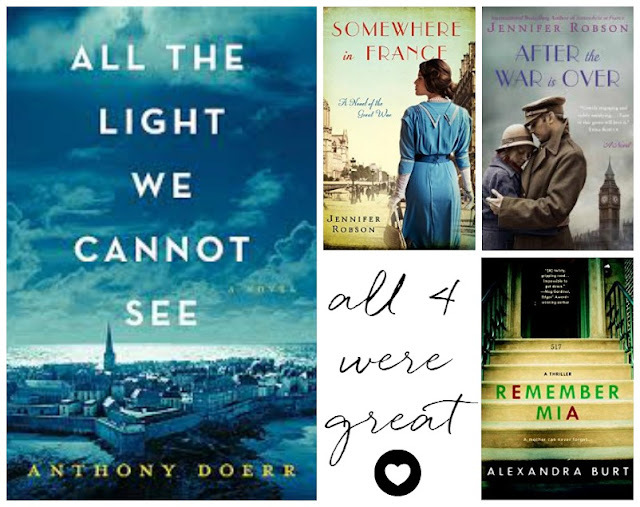 Like Allison, I adore historical war fiction, and The Nightingale has now claimed the number one spot for me in this genre. The Love that Split the World is a YA novel and was so completely unexpected. A little bit of magic, spiritualism, time-travel, psychology and folklore, not to mention a serious nod to fans of Friday Night Lights, I really enjoyed this book (full review here). Me Before You was a re-read for me, and I enjoyed it just as much, if not more, the second time around. Now I just need to muster up the courage to get through the movie (cue all the tears). And lastly, The Thirteenth Tale. This book also touched my soul, but in a completely different way than The Nightingale. It’s a Gothic, historical fiction novel, and I think it’s the most beautifully written book I have ever read. LOOKING FORWARD TO: Finally reading the sequel to Me Before You, After You. The Family Fang by Kevin Wilson, because it sounds awesome and the movie is coming out staring Jason Bateman (love him) and I have this thing where I try really hard to read the book before I see the movie. Plus, I scored a hard copy for $3 at Chapters the other week. I admit that June was a slow reading month for me. I took my very first DNF of the year with The Book Thief. I usually love WWII era books, but after two attempts, I just was not loving this one. The Little Paris Bookshop was a book club pick and while it piqued my curiosity, it wasn't a page turner and seemed to take forever to get through. Then we hit The Royal We, from Brie's online book club, followed by Me Before You, and a page turning thriller, and suddenly my to-be-read pile was disappearing quickly. 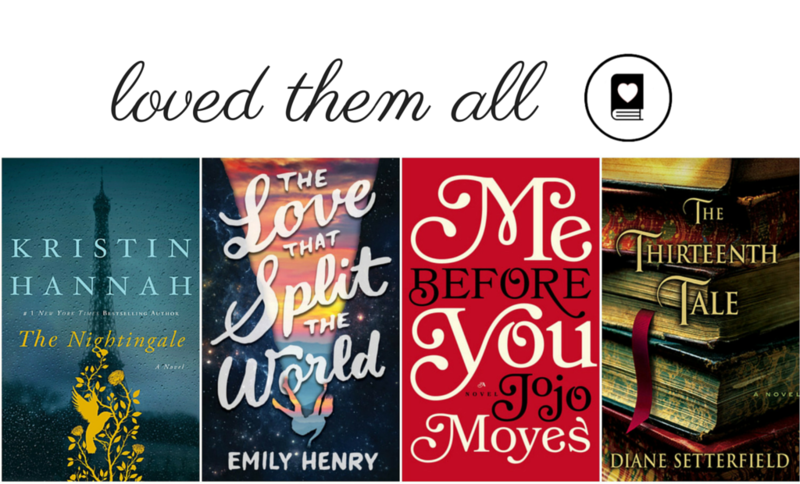 FAVOURITE: It's a definite tie between The Royal We and Me Before You. I adored both stories intensely. I guess you can say I'm a hopeless romantic with a soft spot for a good love story. However, I love a good thriller just as much and both The Farm and Remember Mia had me frantically turning pages to find out the truths of both stories. LOOKING FORWARD TO: I'm really looking forward to giving the much talked about The Nest a read while I'm relaxing on a mountain beach with my family in the next week. I think I'll be taking a trip to the used bookstore later today to see if I can find a copy of After You and then hitting up Chapters for any last minute summer reads I might need for vacation. Oh. So it seems I didn't get up to a lot of reading in the past few months. I definitely thought I read more but I guess getting ready to move, packing, vacation, baseball season, and moving sort of got in the way. But, I have a shady back patio and a comfy chair and a new library card and I am ready for weekends indulging in great books. FAVOURITE: If you know me - or have been reading this blog for a while - you know I am horrible at picking one favourite. Especially with three books I really liked and one I liked but a smidgen less; I feel bad for the one. Ok, big girl pants. I adore historical war fiction so it is no surprise I devoured and loved All the Light We Cannot See, Somewhere in France, and After the War is Over. Want to read Jennifer Robson? Read the books in order; they follow the same characters. Remember Mia was good but it has been compared to Gone Girl (um, no, it was nothing like it) so, I went in thinking I wouldn't love it because I LOATHED the sociopathic thriller that was Gone Girl. It was better than expected but not as great at the others. LOOKING FORWARD TO: Jennifer Robson's third book, Moonlight Over Paris, and a whole slew of summer books I have on hold at the library. Have you read any of our favourite books? Thoughts? 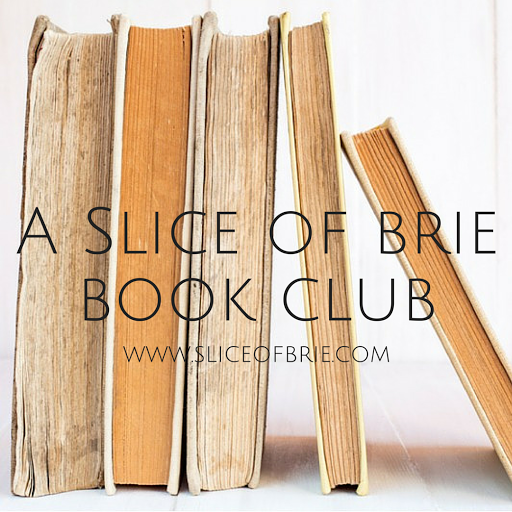 A Slice of Brie Book Club: July's Pick!